Hello Friends, Toady we are sharing useful notes i.e. 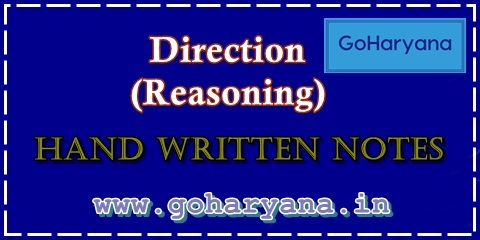 Direction- Reasoning Hand Written Notes. This PDF file is very useful for SSC (CGL+CHSL) Banking, HSSC and Competitive Exams. 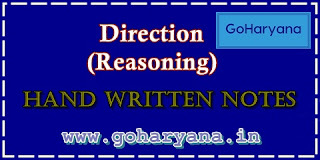 Direction is the most important topic of reasoning. This must be at least 2 marks and more in every competitive exam.